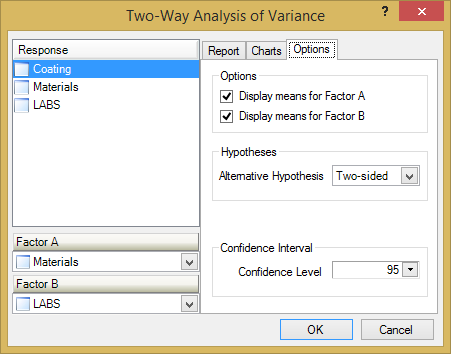 Performs a balanced two-way analysis of variance. 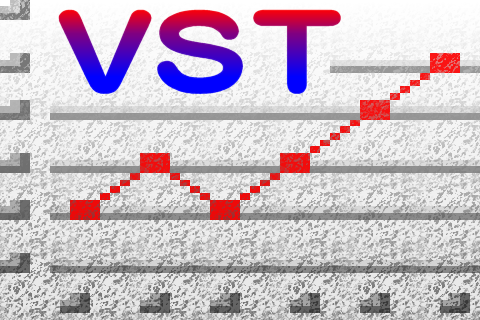 Two-way analysis of variance is a direct extension of one-way analysis of variance. In this case, data are grouped according to two factors rather than a single factor. An evaluation of a new coating applied to 3 different materials was conducted at 2 different laboratories. Each laboratory tested 3 samples from each of the treated materials. The results are given in a dataset. For the coating data, there is no significant evidence for a materials*labs interaction effect if your acceptable a value is less than 0.2973 (the p-value for the interaction F-test). There is significant evidence for materials main effects, as the F-test p-value is 0.0001.